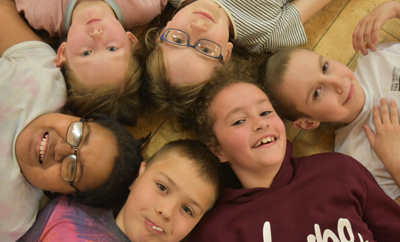 We run a youth club for children aged 8 to 12 years and meet on Friday evening’s from 7pm – 9.30pm at the Tilehurst Youth and Community Centre which is situated above the Co-op at the Tilehurst Triangle. The club which is an independent non-profit making organisation is largely run and staffed by volunteers. The club is managed by an elected group of parents, volunteers and people living in the Tilehurst Community. 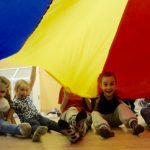 We offer a safe and secure environment for young people to enjoy themselves, make new friends and develop their social skills. We offer a wide range of activities, including games, indoor sports, arts and crafts, cooking, karaoke and competitions on club nights. Children from all backgrounds are most welcome and we work hard to prevent any bullying or discrimination. We do not allow children to leave the club until the end of the evening session unless collected by a parent. At the end of the evening parents are encouraged to come up into the youth club to collect their children and to get to know members of the staff team. ALL staff, volunteers and management committee members are vetted by the Criminal Records Bureau to ensure the safety of the children attending the club. Our aim is to provide an exceptional youth club for young people in Tilehurst. If you have suggestions on how we can improve lease let us know. 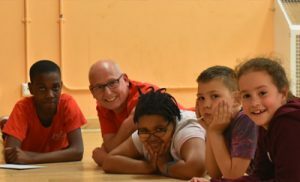 Our Summer Term 2019 newsletter is now available. Please Read for the latest Programme of Activities in the weeks to come and our recent fundraising news. Are you interested in volunteering at our Club but don’t fancy the regular commitment of clubs night then why not join one of our committees? We are seeking volunteers to join our Management Committee meeting 4 times a year to support staff in delivering our Junior Youth Club. We are looking for volunteers to join our Fundraising Committee. We meet 4 times a year to plan and organise events. If you are interested joining us, please use the form below to get in touch.